Most people know Catnip, or catmint, as a plant that attracts cats. When you know how to use catnip in home herbal remedies it becomes so much more than just a curious addition to your herb garden to please your feline friends. Nepeta cataria might just be a helpful aid in lowering depression and anxiety in a number of people. Besides having eight chemicals with sedative activity, it also contains minerals with antianxiety and antidepressant functions, Calcium, Magnesium and Potassium. Catnip also provides a sedative service by helping us calm down and fall asleep more easily. It’s more than just a cat distraction! Being a mint, the catnip plant contains excellent carminative, sedative, antispasmodic and anti-inflammatory properties. That is, it calms stomach problems, colic, restlessness, hyperactivity and pain. 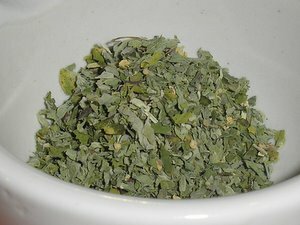 Catnip is safe to use with children if given the appropriate dosage: half that of an adult and dilute in juice, non-caffeinated herbal tea or in a glass of water. Chop up the leaves and place in a salad or in soups or use the leaves in catnip teas, infusions and to make tinctures or glycerines. As with many herbs, use only for a couple of weeks, then stop for a week, and resume use. 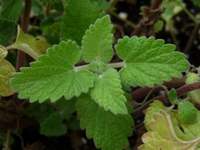 Catnip is an herb from the Mint family and will affect the thyroid in a negative way if used a lot by people who suffer from any thyroid problem. Catnip, also known as catmint, is a generally drought-tolerant plant that prefers a sunny, open position in well-drained soil. Catnip can be sown from seed in Spring, or by dividing existing plants into 3 or 4 clumps and re-planting. Catnip’s white and pink flowers are very attractive to bees, and cats love the lot! If you’re intending to use catnip for medicinal purposes, check that you are growing Nepetaria cataria. There are other catnips that make attractive garden plants, but don’t have the same medicinal properties as Nepetaria cataria. We do not diagnose or prescribe, and we strongly urge you to see your healthcare professional if you are suffering from any condition or chronic illness. Herbs can be dangerous if not identified or used correctly. Herbs do not replace advice or treatment from your healthcare professional. Please read this important caution regarding the safe use of herbs. Catnip's phytochemicals and phytochemical properties are selectively cited by the author from the Dr. Duke's Phytochemical and Ethnobotanical Databases, http://www.ars-grin.gov/duke/plants.html, Jim Duke and Mary Jo Bogenschutz.